Check out this guitarist from WELS (Upper Austria), now living in Vienna. He recently sent us an email showing us some of the videos he has recorded, and Shredaholic was impressed! 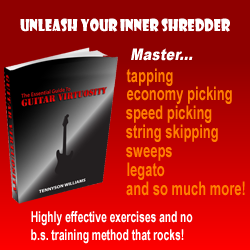 So impressed in fact we decided to create the section for shred/virtuoso guitarists that are worth checking out.